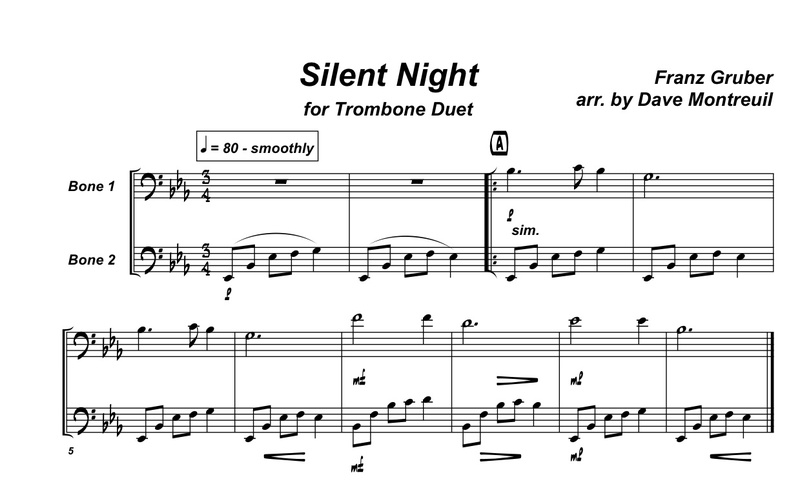 A traditional arrangement of perhaps the most popular Christmas carol of all time. This arrangement is shortish - just one time through the song, but can be repeated as necessary. The Lead trombone plays the melody while the low trombone plays a repeating ascending figure. The low trombone definitely has the trickier part, and will require an F attachment for all the low Eb's. This would be quite a good piece for a teacher to accompany his/her student, who could play the melody.